Real Art Charitable Trust, Waikanae, 2009. First edition. Photographs by Paul McCredie. Hardback in very tidy condition. No markings or inscriptions. 264pp. 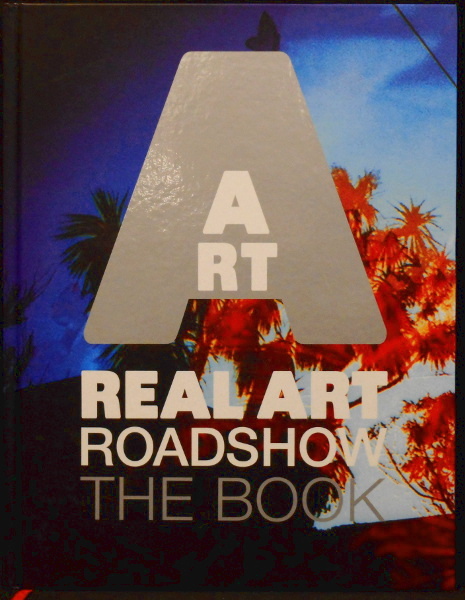 Fiona Campbell's Real Art Trust has published the touring exhibition Real Art Roadshow in a beautiful, high-quality book. Full-colour plates of each of the 126 New Zealand works in the collection, accompanied by accessible, insightful essays, are now available for all to absorb and treasure. REAL ART ROADSHOW: THE BOOK contains the story of how and why the Real Art Roadshow came about as a free resource for secondary school students who do not have easy access to real New Zealand art, with a lovely, personal foreword written by art commentator and collector Hamish Keith.